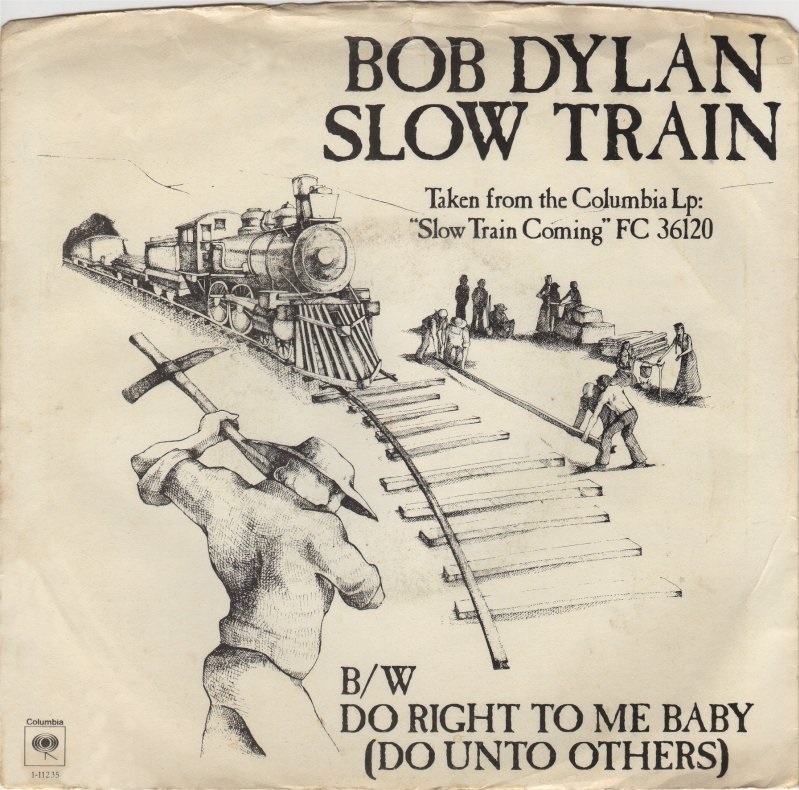 If I could keep only one performance from the Slow Train Coming album, it would have to be the title song, “Slow Train,” much as I love to listen to “Precious Angel,” much as I am in awe of Dylan’s vocal performance on all of “When He Returns” and pieces of “I Believe in You.” But “Slow Train” is it, the white-hot core of the album, the one track that can and must be listened to again and again and again, inexhaustible, essential. ..nothing less than Dylan’s most mature and profound song about America. #78 on my list of Bob Dylan’s top 200 songs. 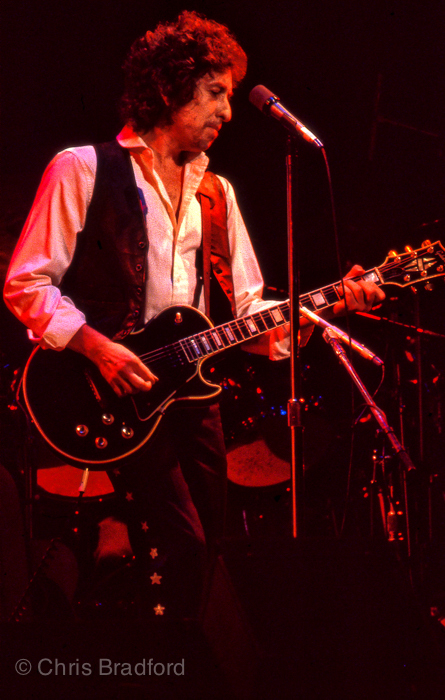 Muscle Shoals, Sheffield, May 3, 1979 – album version. Produced by: Jerry Wexler & Barry Beckett. – Carolyn Dennis, Helena Springs, Regina McCrary (background vocals). Performing it in 1987 he dropped the third verse. Thank you. I suppose you’ve been reading the newspapers and watching the TV? And you see how much trouble this world is in. Madmen running loose everywhere. Anyway we, we’re not worried about that though — it doesn’t bother us — because we know this world is going to be destroyed. Christ will set up his kingdom for a thousand years in Jerusalem where the lion will lie down with the lamb — we know this is true. No doubt about it. So, it’s a slow train coming. It’s been coming for a long time, but it’s picking up speed. The third verse is dropped in this brilliant version. 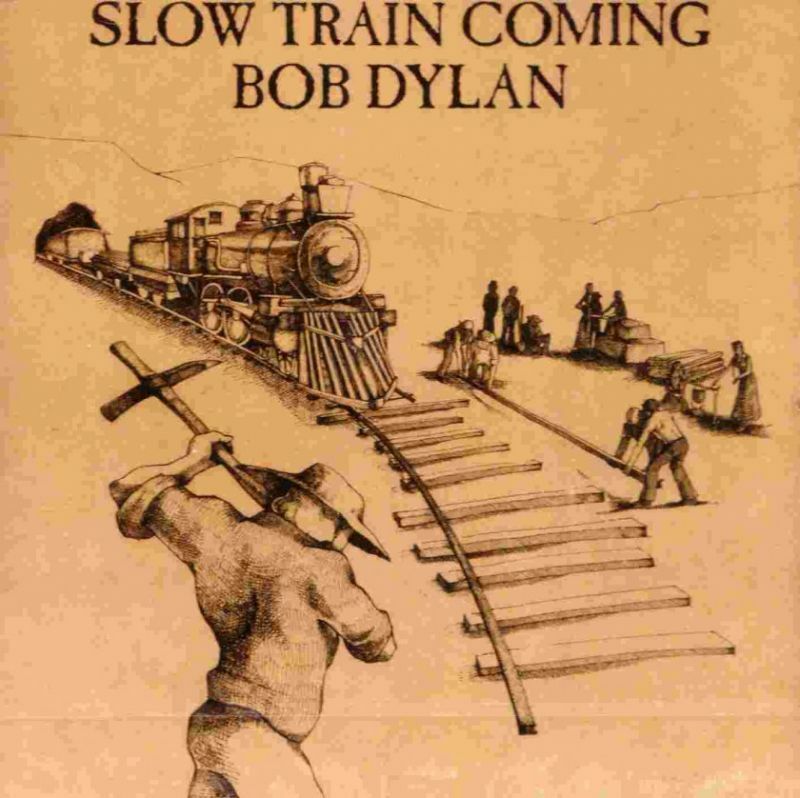 There is a direct connection between “Slow Train” and “Duquesne Whistle” from ‘Tempest.’ The train is longer “up around the bend.” It is here, you can see the lights. You can hear the whistle blowing and it’s an introduction to a CD of which the theme is the judgment of God on our nation.